Shark Week is in full swing over at the Discovery channel. 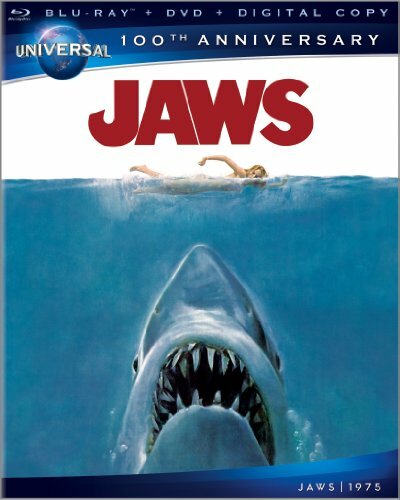 Tonight they are premiering the special, “How Jaws Changed the World.” I’ve already got my DVR set, but I’m sure I’ll be watching this one as it airs. Jaws is without a doubt one of my favorite movies and it’s probably the reason I love the lesser shark movies too. I’ve never thought about real life sharks as monsters though, way before I saw Jaws I had already fallen in love with the hammer head. In an amazing coincidence Jaws was just released on BluRay. Shark Week is thick with commercials for it. As soon as I saw the first commercial the voice in my head screamed at me, “We need that!” That impulse is why at one point I somehow found myself owning 3 different versions of Jaws on DVD. I’m down to two now, and I need to compare the two editions I currently have and find a home for the other. 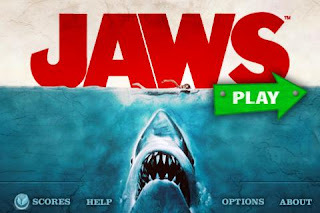 To further cement the Jaws/Shark Week connection there are currently two mobile phone games based on Jaws that are free to download during Shark Week! I’m on an iPhone so I can only vouch for their App Store, if you use something else you’ll have to check for yourself. The games are Jaws and Jaws Revenge. The Jaws game has you playing sheriff. The first stage has a beach full of swimmers and you have to flick them towards the shore. Jaws will swim across the beach and try to eat your vacationers, so you’ll have to maneuver the swimmers out of the shark’s path. Other stages have you out in the open water. There isn’t a beach to flick your swimmers to; instead you also have to control rescue boats. The boats hold different amounts of people, so you’ll have to juggle all of these things to keep everyone from becoming shark food. It’s a fun diversion, but honestly if it wasn’t a free app I wouldn’t have downloaded it. 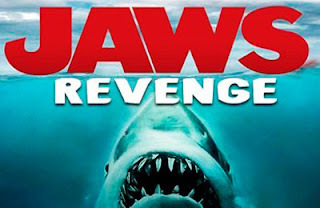 Jaws Revenge on the other hand is something I can see myself wasting a huge amount of time on. 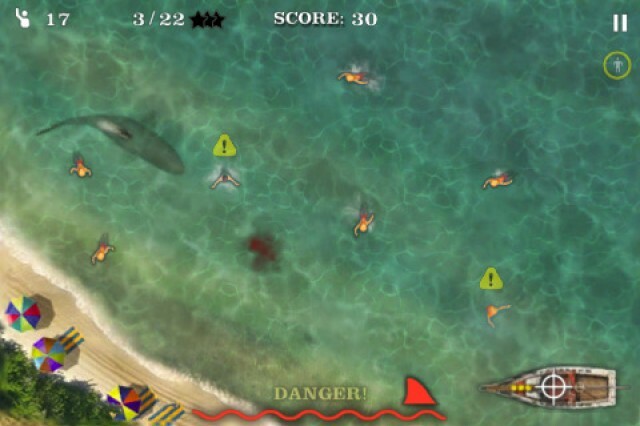 If you’ve ever played the Flash game Miami Shark you’ll be very familiar with this. You’re Jaws in this version, a very hungry version of Jaws. Pressing on the screen allows the shark to dive down, releasing sends it launching through the air. 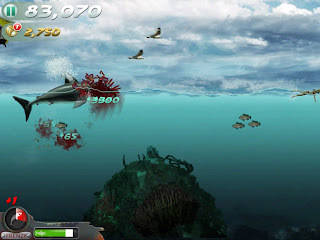 The game is full of things to eat; fish, birds, divers, skiers, etc. It is non-stop carnage. The game does give you objectives. Things like eat 7 skiers before you reach the third buoy. When you meet these objectives you’re rewarded with shark tooth coins. Those coins allow you to upgrade your shark. Bigger health bars, more damaging bites, and others will help you hit your objectives faster and allow you to cause even more destruction. I downloaded both of these games while watching Sharkzilla last night and I think my shark in Jaws Revenge is already level 4.